Poor weather could slow repairs of icebreaker that struck bottom off N.L. BURGEO, N.L. -- The coast guard says repairs are underway on an icebreaker that struck a rocky shoal off Newfoundland, but poor weather could delay the process. Spokeswoman Jan Woodford says crews have welded a steel plate to cover a hole in the Canadian Coast Guard Ship Ann Harvey, located off the coast near Burgeo in southwestern Newfoundland. Dive teams inspecting the ship on Thursday found a 20 centimetre puncture in its hull. Woodford says the repairs have reduced the amount of water the ship is taking on, but more welding is needed before it can be towed to St. John's harbour. She says storm conditions in the area on Saturday night and Sunday are likely to delay work on the vessel. The Ann Harvey began taking on water on Wednesday, but the coast guard says everyone on board is safe and the ship is not in danger of sinking. 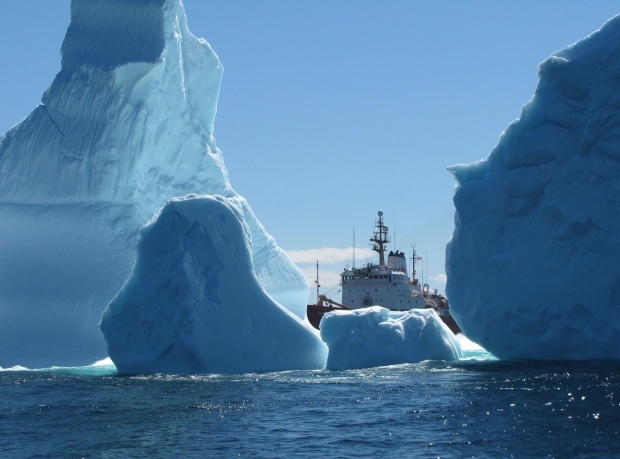 Coast guard icebreaker strikes bottom off N.L.